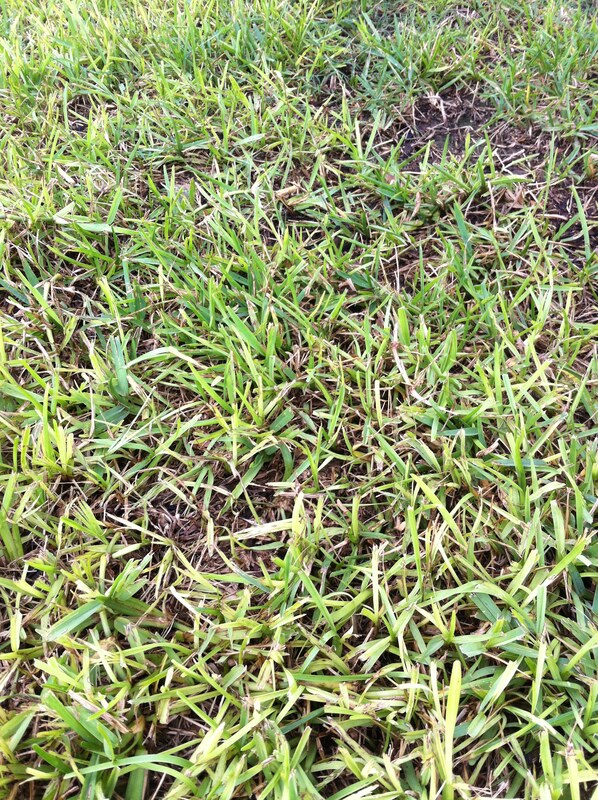 Why is my grass yellow? We visited a friend and her yard looked great! I went back last week after she called, asking me what was wrong with her grass. I was shocked at the difference. 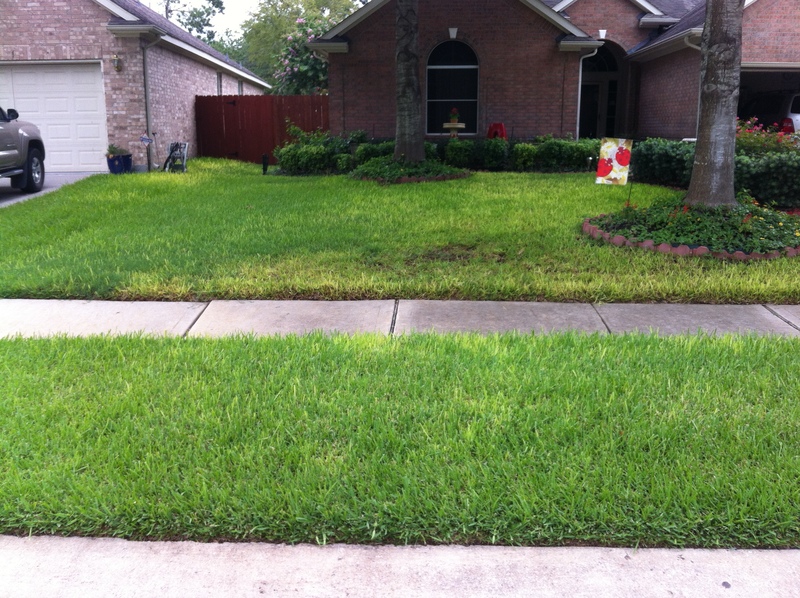 What was once a beautiful thick lawn, was now a patchwork of yellow and green. In some spots, it was thin. There were bald spots where she had raked it, trying to get the dead stuff up. She wanted to know what kind of monster/disease/bug had done this. She had thrown a bunch or different things down, nothing was working. This beastie is called Gray Leaf Spot. 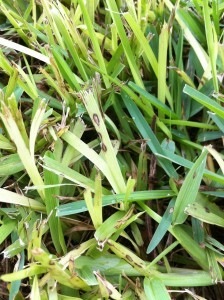 Every St. Augustine lawn I have ever looked at, had at least a few signs of this disease. What conditions bring this nastiness to life? Shady locations with hot, humid, wet weather…sound familiar? Follow their recommendations for control and treatment. In the picture above, the yellow patches are not where sun is shining on the grass. The grass is just that yellow. 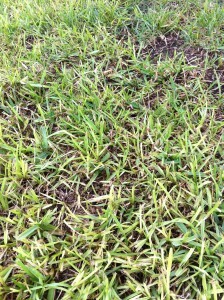 This picture above is classic thinning caused by Gray Leaf Spot. Above and below show the classic yellowing along with the football shaped lesions. 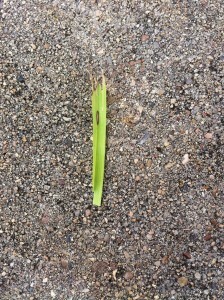 Also, note the ragged leaf tips caused by a dull mower blade, that tore the grass instead of cutting it. This tearing leaves a wound, that takes longer to heal than a clean cut. 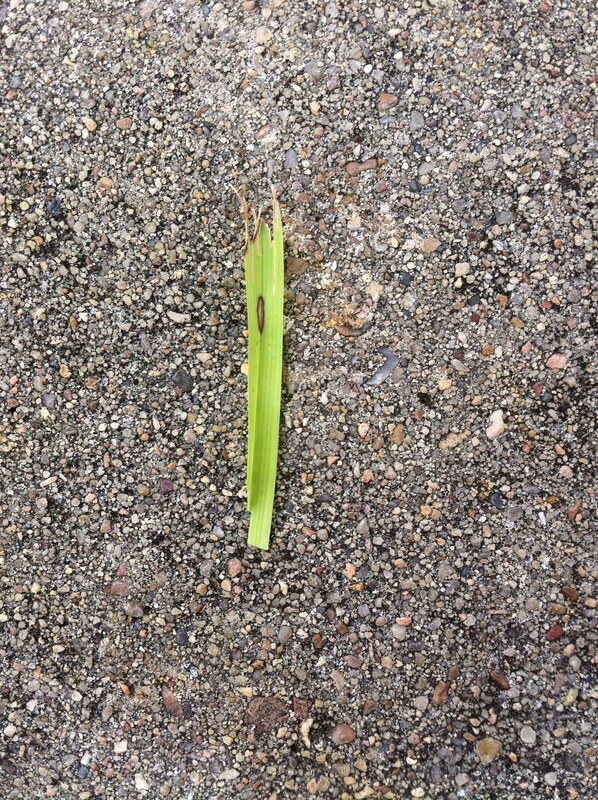 Open wounds on plants, just like on people, are more susceptible to diseases. Sharpen your mower blade, EVERY 20 CUTS. 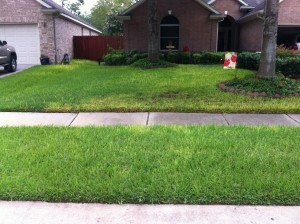 If your lawn guy won’t sharpen his blade (daily for some busy crews), make him use your own mower or hire someone else. 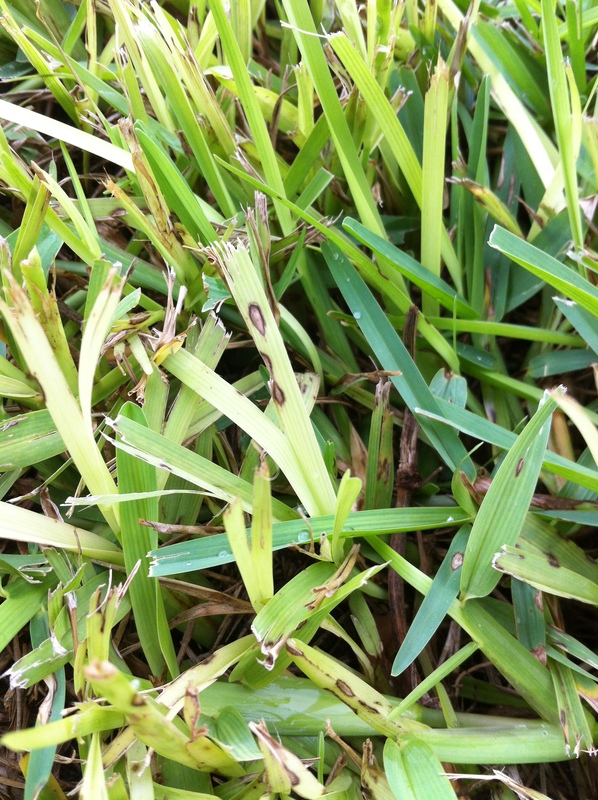 Unfortunately, mow and blow lawn companies can spread diseases like wild-fire, because they are simply uninformed. 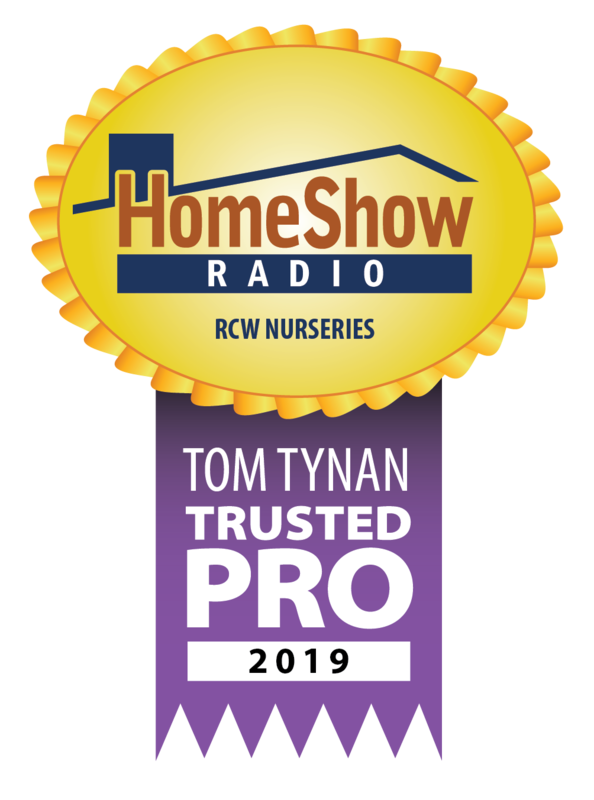 Copyright © 2019 RCW Nurseries Inc.